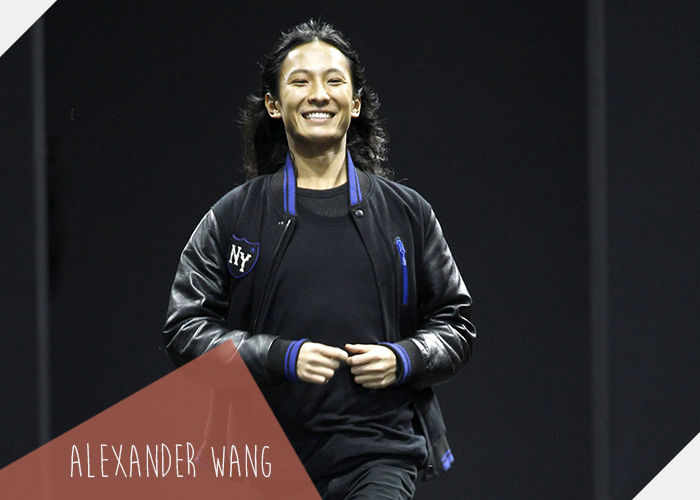 ALEXANDER WANG will be the next designer to create a collection for H&M. The young New York talent, who is also the creative director for Balenciaga, unveiled the new relationship - which will include a collection of men's and women's clothing, as well as his famed accessories - via Instagram last night. "I am honoured to be a part of H&M's designer collaborations," Wang said this morning. "The work with their team is an exciting, fun process. They are very open to pushing boundaries and to set a platform for creativity. This will be a great way for a wider audience to experience elements of the Alexander Wang brand and lifestyle." "Alexander Wang is one of the most important voices in fashion today," H&M's creative advisor Margareta van den Bosch added. "He understands exactly what people want to wear and does it with an energy and passion that's infectious. It feels incredible to be collaborating with him this year." Wang's official Instagram page posted a video featuring a basketball scoreboard which showed a digital countdown to the "Wang X HM" launch. Another video then confirmed that an event at music festival Coachella - which will feature acts including Iggy Azalea - will take place today under the "Wang X HM" banner. He follows in the footsteps of French designer Isabel Marant, who unveiled her highly anticipated offering for the Swedish retailer in November 2013. Some of the industry's biggest names - from Karl Lagerfeld, Stella McCartney and Matthew Williamson to Versace, Lanvin and Marni have also designed for the high-street brand. Which H&M collaboration has been your favourite so far?